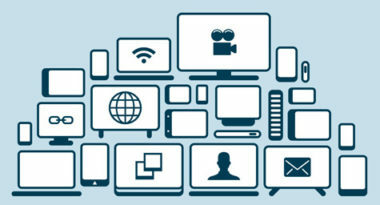 Brand Investment in Digital Media – “More than at any point in the last decade of online advertising, we’re at the point where major brand advertisers are finally looking to digital media as a central part of their marketing efforts,” said Nikesh Arora, Google’s SVP and chief operating officer at the time. This marketing momentum toward digital channels was the result of companies finally realizing the advantages of using the online space for brand awareness. This was simply not possible in past years because the Web was not as digitally developed and the metrics were not as advanced. Request for Solution Suites – In 2012, businesses were starting to realize that they needed complete solution packages that spanned the spectrum of digital media. Brands were coming to understand that they needed multifaceted strategies that leveraged numerous platforms in the online advertising arena and worked with a variety of digital formats, including video, display, and search ads. Need for Cross-Channel Metrics – Companies of all kinds were starting demand advanced analytics for their search advertising efforts. Brands wanted tools that could gauge their search performance in the mobile, video and offline sales arenas. In response, Google rolled out state-of-the-art measurement technologies that enabled brands to assess the ROI of their various media and online advertising initiatives. As for what will the key online advertising trends of the coming years will be, we’ll all have to stay tuned to find out. To discover the latest ways to use online advertising in your marketing strategy, contact MDG Advertising today at , call 561-338-7797, or visit mdgadvertising.com.